ince we were really impressed by LG’s flagship G2 smartphone we were pretty eager to lay our hands on another device from their G series. 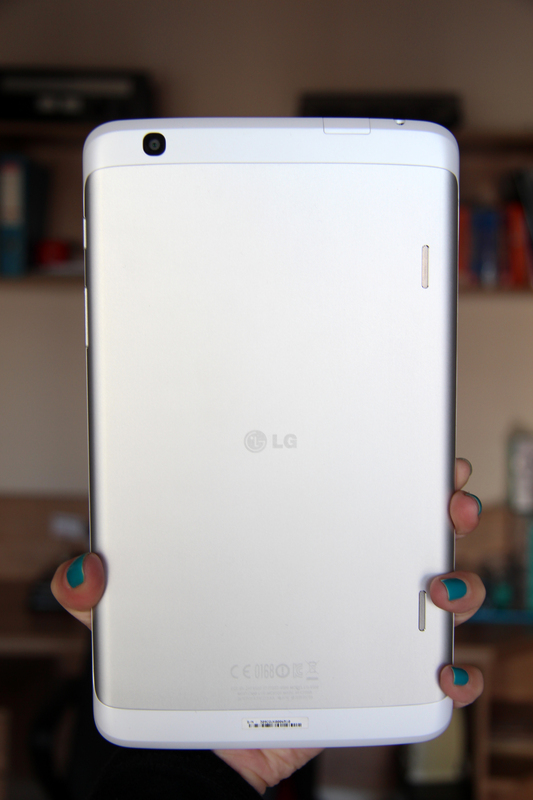 And here it is – G Pad 8.3. 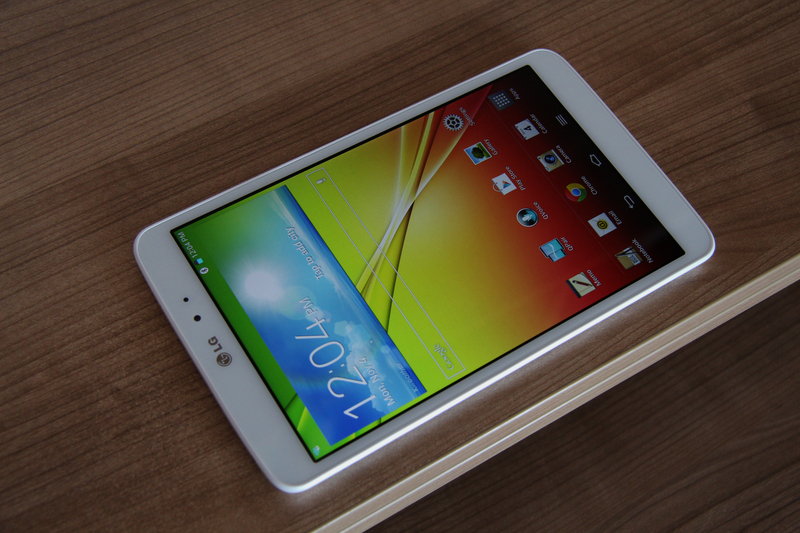 With such a release LG makes a strong entry into the 8-inch market segment, where it’s not much populated anyway. 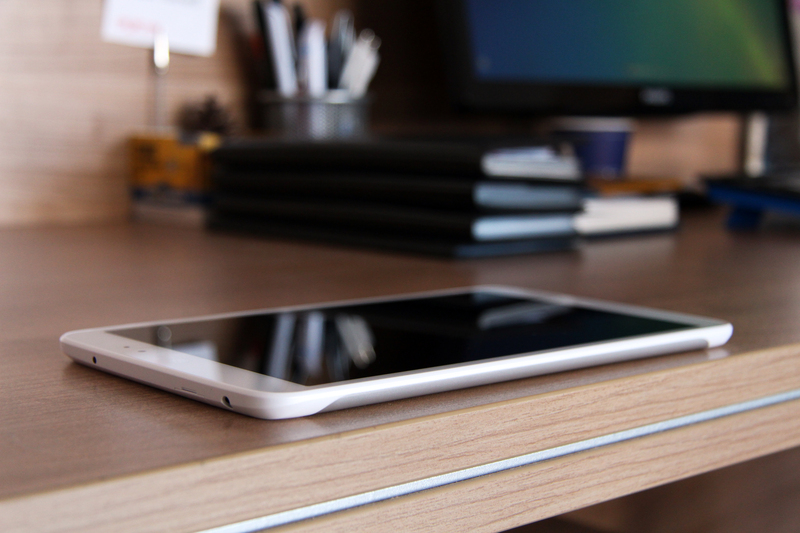 The device looks very good mainly because of its matte aluminum back panel. 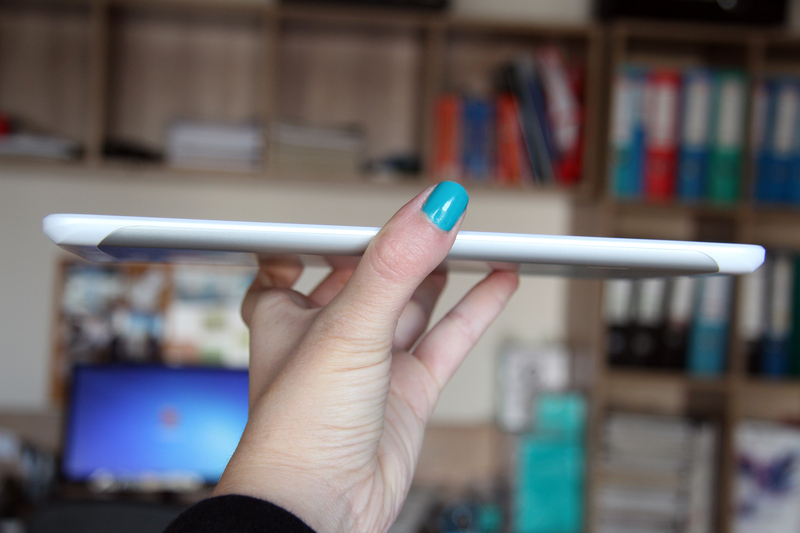 Even at 8.3-inches it is still slim with a 0.33-inch profile and lightweight at 0.74 punds. I even managed to hold it in one hand given the fact that my hands are really small. The plastic trimmings running along the top and the bottom really contrast with the more premium-looking aluminum. 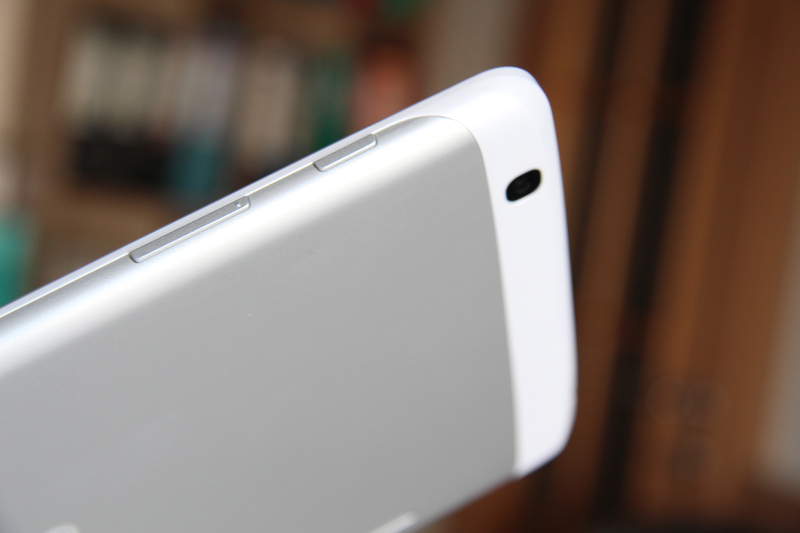 The pearl plastic goes all over to the display in to the front. 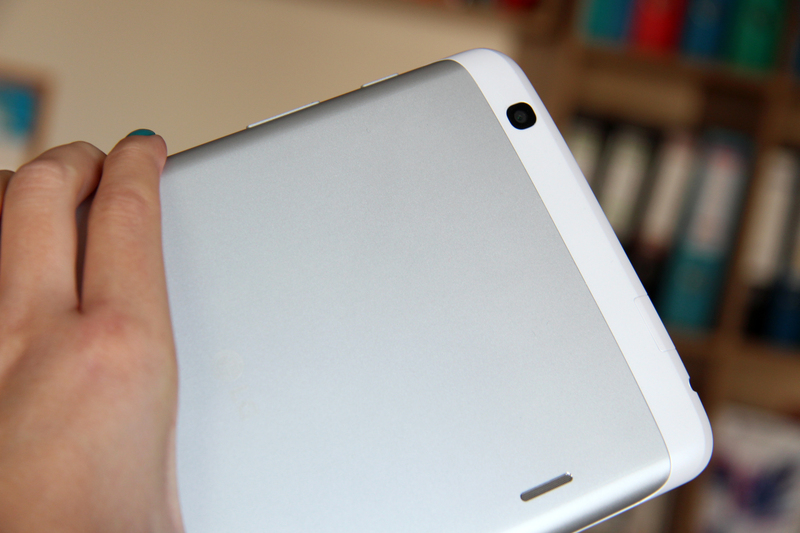 On top of it a 1.3MP video call camera is placed. The edges hold a headphone jack, micro SD card slot for up to 64GB cards, an IR blaster, a power key, a volume rocker and a micro USB port, used also for charging. On the back we have a 5MP camera, sitting alone without a flash and two beds for the speakers placed entirely on the right side. Moving onto the display, which was the thing we liked the most in this device. 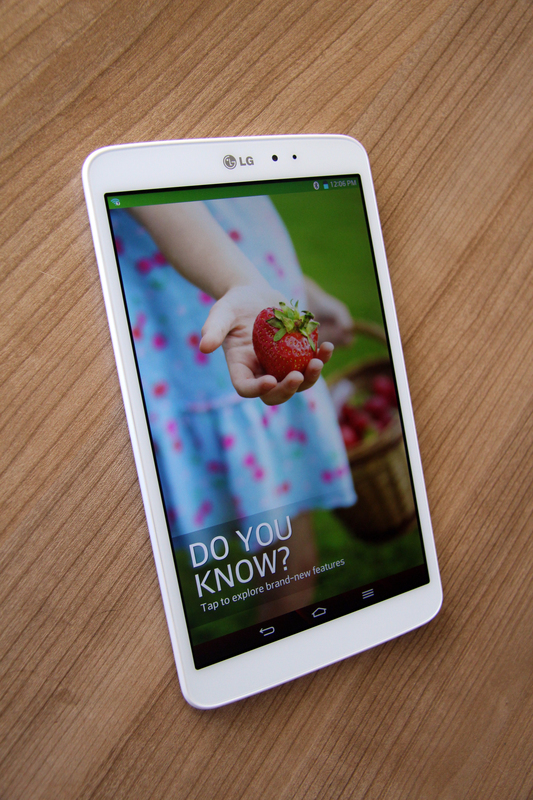 The G Pad comes with a wonderful 8.3-inch Full HD display with an IPS technology. We were pleased to enjoy the clarity of the graphics and the crispness of the details thanks to the 273ppi density. 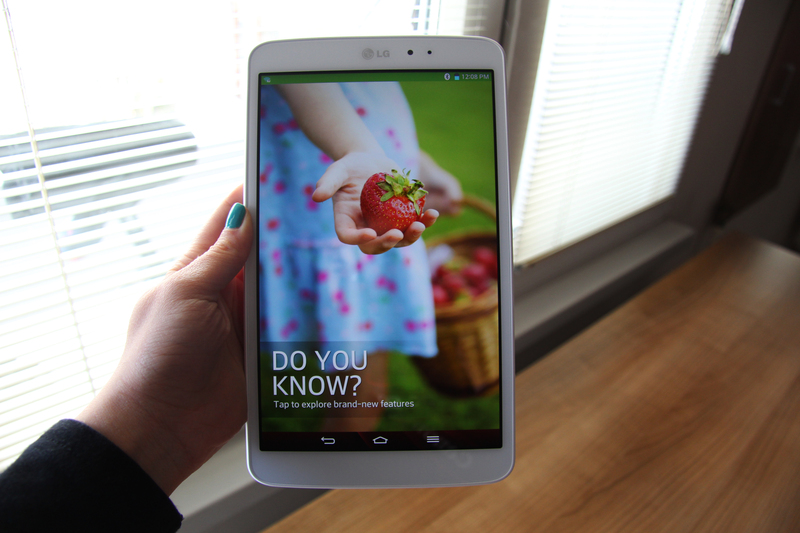 The display panel is really bright and really easy to use even outdoors in the sunlight. Viewing angles are wide. I doubt it that somebody would use a tablet alone without a case but even so the screen has a Corning Glass protection. G Pad is not the most powerful thing out there but it still packs enough power to handle more demanding applications and games and get you through the everyday multitasking and browsing. 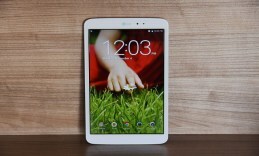 The device runs on a quad-core 1.7GHz Snapdragon 600 CPU and uses 2GB of system memory. Graphics and video performance is supported by Adreno 320GPU. Streaming high-definition videos was not that big of a challenge for this guy. 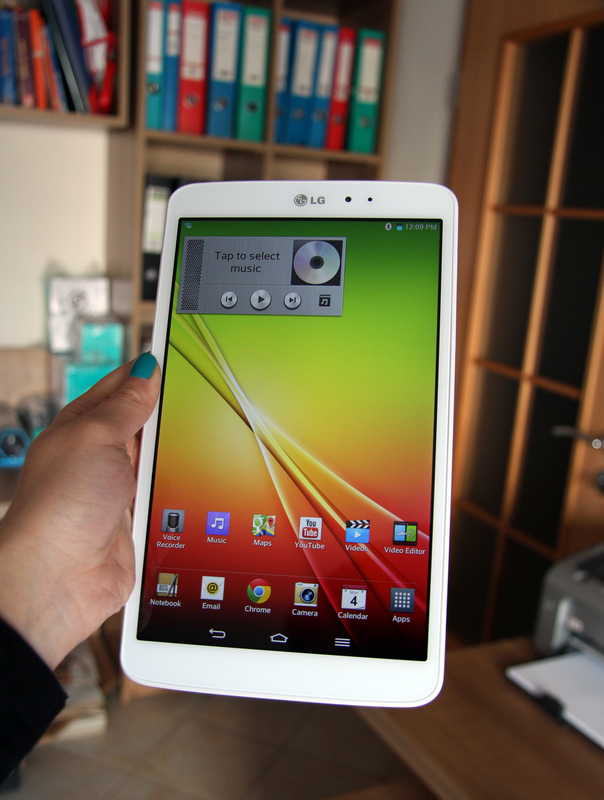 The operating system installed here is Android 4.2.2 Jelly Bean. Other than that G Pad’s interface offers many handy features. The first one is called Q Pair, it links to tablet to your smartphone so all calls are received onto the tablet as well. Thus you will never miss a call. This feature also gives you the opportunity to use your phone mobile internet directly on the tablet where a 3G module is not provided. Of course there is more, the Qslide multitasking function allows you to organize and arrange applications and windows on the screen. Slide Aside lets you peek at 3 different open apps simultaneously by pulling them out from the left side. G Pad can also serve you as an universal remote. Unsurprisingly the 5MP camera didn’t manage to impress or disappoint us. 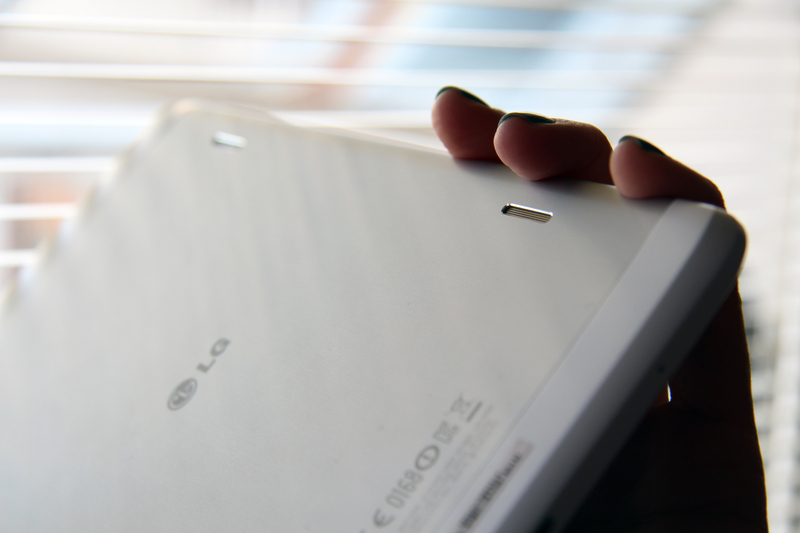 G Pad 8.3 offers 16GB internal storage. Compared to most tablet cameras it does a decent job. Challenging low light environments, however, make it struggle and a lot of noise appears on the pictures. The lack of flash doesn’t make it any better. G Pad 8.3 offers 16GB internal storage. 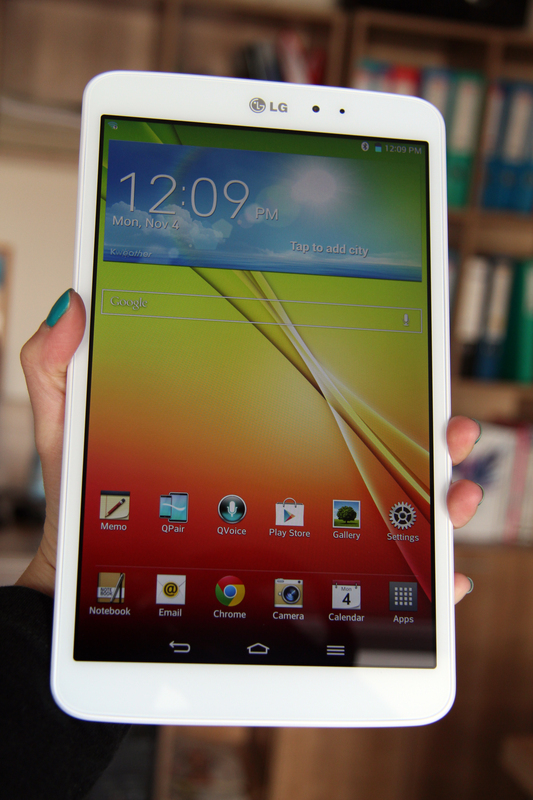 The tablet is powered by a high-capacity 4600mAh battery which easily gets you through an 8-hour moderate usage. Where have you seen listed that the 8.3 has Gorilla glass?